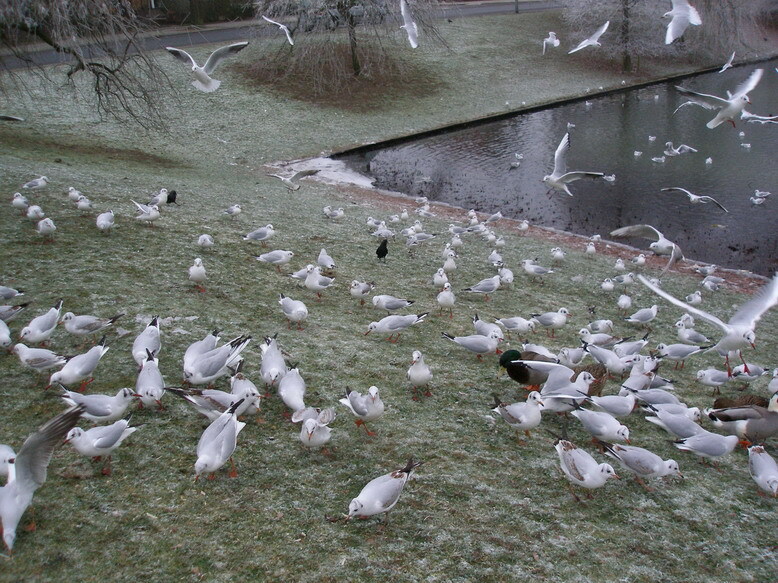 In December 1984 in Laren (NH) I started reading some ringed Black-headed Gulls. By coincidence I discovered at the time that the rings could be read with binoculars. The systematic reading of rings from the wintering Black-headed Gulls in "Het Gooi" started in the autumn of 1985. 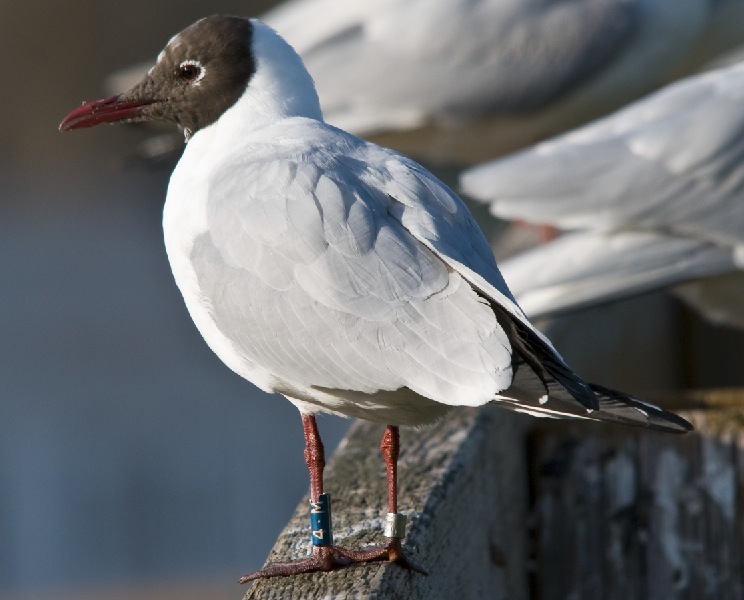 In autumn of 1993 I obtained a permit in order to re-ring Black-headed Gulls with very worn out aluminium rings. This ring permit was expanded in February 1994 on ringing first winter Black-headed Gulls in Het Gooi. 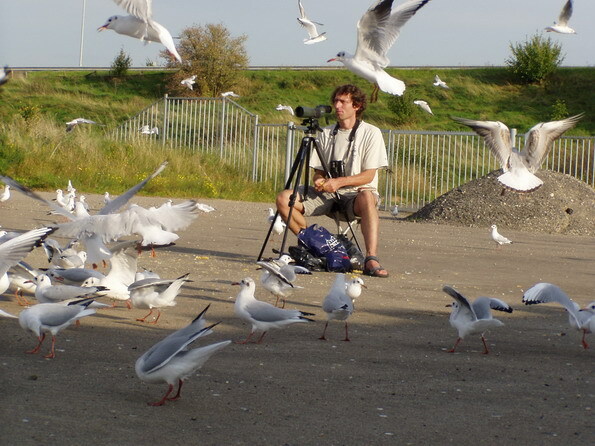 In November 1995 my permit was expanded to wintering Black-headed Gulls in The Netherlands. In November 1996 I got permission to start using colour rings. This in the context of a systematic study towards the survival and site fidelity of the wintering Black-headed Gulls in The Netherlands. This research is being continued until today. Frank Majoor while reading rings in Arnhem. Sept 11th 2008. Therefore a lot can be mentioned about research on Black-headed Gulls. Therefore separate studies are devoted to research on wintering birds and research on breeding birds. Data on moulting (of the head) are also being collected by me. Furthermore, research on avian influenza in Black-headed Gulls is being done. In addition, it is interesting to look at interesting recoveries (shown with Google maps) of colour ringed Black-headed Gulls which were ringed by me. From many observers I have received photo's with the Black-headed Gulls which have been read, most often with colour rings.